In the summer of 2014 I visited Berlin for the Qt Contributors Summit. Qt is an open source cross-platform application development framework for desktop, mobile and embedded software. It is written in C++ and this is the main development programming language as well as the declarative scripting language QML. The first version of Qt was released almost 20 years ago and it was intially developed by Trolltech. In 2008 the framework was acquired by Nokia. In 2012, after the notorious deal between Microsoft and Nokia, Qt was transferred to Digia and this year a subsidiary of Digia called Qt Company was established. There are two big annual events related to Qt. Qt Developer Days is an annual conference about application development with Qt and its has a paid entrance. Unlike it Qt Contributors Summit is an annual invite-only event about the development of Qt itself. 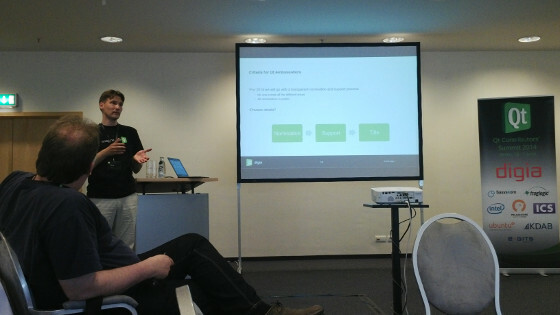 Qt Contributors Summit 2014 took place at Estel convention center Berlin, Germany on 10-11 June. Approximately 70 developers gathered to discuss the future of the platform. 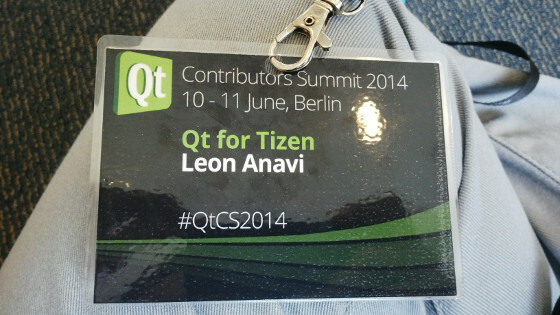 I had the honor and the rare chance to be invited because of my contributions to the qt-project community and my participation in Qt for Tizen. In June I shared news from Qt Contributors Summit on TizenExperts.com so I don't want to repeat them but just the highlight the most important topics for the Qt community. 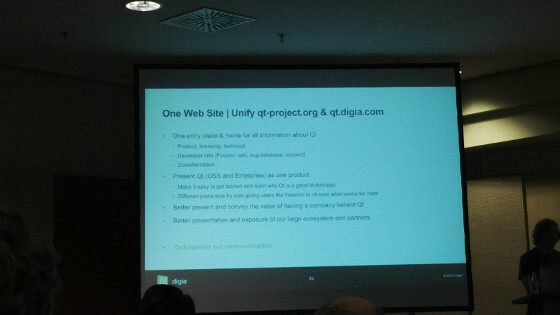 During the key note notes Lars Knoll revealed plans for unifying Qt Commercial offerings with Qt Open Source. Statistics about the downloads and the usage of Qt under open source licenses were also discussed. We may say that Qt Open Source is doing well and it is in very good shape. Important topics for the Qt community were discussed during QtCS. Tero Kojo announced a reboot of the Qt Ambassador program which shortly after the event became known under a new name Qt Champions. I was elected for a Qt Ambassador in 2011when Nokia was ruling the Qt world and I was really happy to see that this important community program is alive again. This time the idea is to emphasise the community and the contributions to the framework. You can become a Qt Champion in one of the following areas: Community Builder, Content Creator, Quality Assurer, Developer and Ambassador. The first Qt Champion is Samuel Gaist – a really nice and friendly developer and the absolute community leader in the couple of years at qt-project.org. The second developer which was selected for Qt Champion is Tasuku Suzuki who has devoted a lot of his time to the Qt community in Japan.